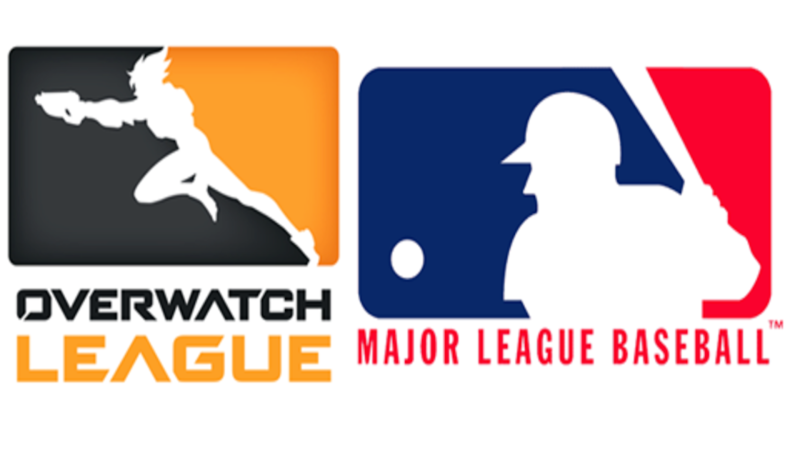 We recently discussed how Major League Baseball had asked for an extension with the USPTO so its legal staff could decide whether it wanted to oppose a trademark application for eSport organization Overwatch League's new logo. The request was more than a little head-scratching for a variety of reasons. 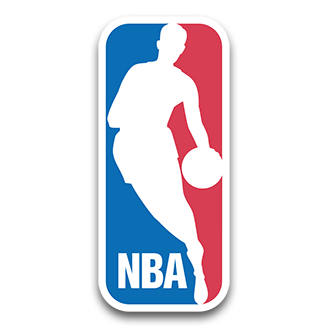 As we pointed out in that post, the two logos aren't particularly similar and certainty don't appear to give ground to any confusion among the public about any affiliation between the leagues. Different color schemes, different fonts, and clearly identified names of the league on each logo didn't give MLB much ammo for a trademark opposition. Add to that the plethora of sporting league logos done in a similar style that actually do use the same color scheme, yet don't face aggression from MLB, and it raises the eyebrow as to why MLB's lawyers wanted to even go so far as to ask for an extension over any of this. Well, it seems that either MLB's lawyers are Techdirt readers or they simply came to their senses (I choose to believe it's the former), because the time to file an opposition has come and gone with no action taken on MLB's side. Major League Baseball has decided not to oppose Blizzard Entertainment’s OverwatchLeague trademark filing, per law firm Morrison / Lee. As part of the OWL’s trademark review process via the Trademark Trial and Appeal Board, organizations have the opportunity to oppose trademarks—and earlier this month, the MLB was reportedly preparing a challenge, along with a request for a 90 day extension. The deadline to file the challenge and extension, July 26, has now come and gone without issue. OWL’s trademark is presumably in place, and while it could still be challenged as a trademark infringement down the road, such a challenge is unlikely given the lack of current filing. While MLB has been happy in the past to be the bully on trademark issues, it seems it decided even this one was too silly to take on. That doesn't feel like it deserves applause as much as brief sigh of relief at one less dumb trademark issue I'd have to write about. For some reason, gamemaker Blizzard has been totally smitten with the idea of twisting copyright law into an ugly pretzel to sue anyone who makes a hack or cheat for one of its games for some time now. They did this concerning Starcraft, then World of Warcraft, and then Starcraft 2. This lawsuit tactic is starting to become something of a right of passage for Blizzard's games, but the tactic in question makes little sense. Blizzard's argument can be roughly translated as: cheats and hacks break the EULA for the game, the game is licensed by the EULA instead of being owned by anyone paying for it, the game does regular copying of code and files while in use, therefore a hack or cheat that breaks the EULA renders all of that routine copying as copyright infringement. While this wrenching of copyright into these kinds of lawsuits has nothing to do with the actual purpose or general application of copyright law, many cheer these moves on, because cheaters within the communal games we play are annoying. But the ends don't justify the means, and this kind of twisting of copyright law is dangerous, as we've pointed out in the past. Not that that's stopped Blizzard from utilizing this tactic, of course. In fact, recent Blizzard success Overwatch has become the latest to achieve this right of passage. While most Overwatch players stick to the rules, there’s also a small group that tries to game the system. By using cheats such as the Watchover Tyrant, they play with an advantage over regular users. Blizzard is not happy with the Overwatch cheat and has filed a lawsuit against the German maker, Bossland GMBH, at a federal court in California. Bossland also sellscheats for various other titles such as World of Warcraft, Diablo 3 and Heroes of the Storm, which are mentioned in the complaint as well. The game developer accuses the cheat maker of various forms of copyright infringement, unfair competition, and violating the DMCA’s anti-circumvention provision. According to Blizzard these bots and cheats also cause millions of dollars in lost sales, as they ruin the games for many legitimate players. And it might indeed be true that these cheat hacks piss off some Overwatch gamers and might even drive some of them away from the game, costing Blizzard revenue. But, and I cannot stress this enough, that doesn't suddenly make any of this copyright infringement. To see what lengths Blizzard's legal team is going to in order to twist this all together, one need look only at the claims the filing makes. First, it claims that Bossland is committing contributory infringement by offering the hack, because the hack breaks the EULA, which makes accessing the game suddenly fraudulent, and all the routine copying the game does becomes copyright infringement. This, again, relies on the idea that the game is licensed rather than bought, and that breaking the EULA renders the license invalid. This has never been the way copyright has worked in the past. Second, the filing claims that the hack's ability to provide a graphical overlay over the regular game is the creation of a derivative work, which is also copyright infringement. Except the overlay isn't copying any part of the game, nor is it making works expanding on the game. It's just an overlay, or a HUD. Only then does the filing accuse Bossland of contractual interference, which is probably the most sound charge in the whole thing. Even then, hacks and cheats have long been a staple of the video game ecosystem, with most gamemakers embracing modding communities, and even embedding cheats within their own games. This has changed somewhat with the rise of online multiplayer games, where these kinds of cheats break the game in some ways, but still, entering into a legal challenge over all of this instead of jumping back into the fray of game development to try to keep the cheaters out seems strange. And filing all of this in a California court has pretty much everyone, including the folks at Bossland, scratching their heads. It should be noted that much of the time these legal attempts by Blizzard don't result in wins for its legal team. And that's not even taking into account the questions of jurisdiction and/or what a California court ruling will result in for a company abroad. I'm a little lost as to why Blizzard is even bothering with this, to be honest.